Lone Star Events, Inc. is focused on providing security services on a 24 hour a day platform. 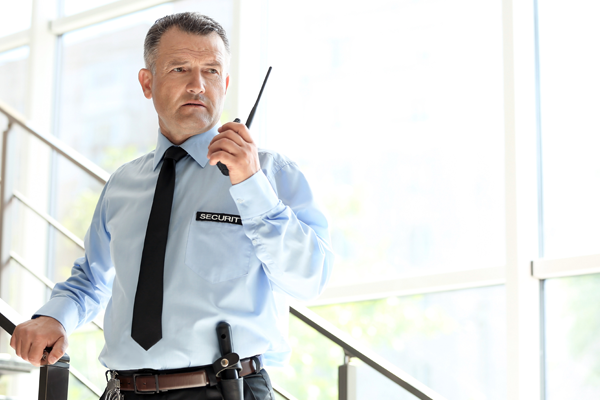 Allow one of our security professionals to discuss a security plan and assessment catered to you or your business. We can also provide you with emergency medical services at your event. Let our trained EMT/paramedics take care of your guests at your event. Our security specialist will professionally evaluate each individual client’s needs and engineer an individualized plan to protect your assets and most importantly the preservation of life. We have a diverse staff of professionals and we are NOT the typical security company. All of our professionals and agents have a background and education in emergency services industry to include law enforcement, fire fighters, and paramedics. When you combine the multitude of backgrounds and education with the number of years in the industry no one can come close to what the professionals at Lone Star Events, Inc. can provide to our clients. We have an unmatched level of security and enforcement that we are able to provide in a very cost effective manner to our clients. We are so confident in the fact that you will be pleased with your services that we are currently offering a special promotion through the end of this month offering substantial savings on our products. Be sure to mention the website add when you speak with one of our agents. We work hard to achieve the most professional and highly trained officer / agent on the market today. While working with our clients to achieve a customized plan for their needs and providing that service at a fair and equitable price we have found it enables us to attract some of the best qualified clients in the industry. The old saying of “You get what you pay for…” is a statement that rings as true today as it did when the statement originated. You will notice with Lone Star Events, Inc. that we never promise that we will cut corners by paying our officers and agents less so that we can secure the lowest paying bid. We believe that if you’re looking for the best you will certainly find it in Lone Star Events, Inc. Many of our competitors will cut corners either in their bid given to the client or the pay of their officers or most importantly the insurance required to operate. The Mission of Lone Star Events, Inc. is to provide quality enforcement services at an affordable price to our clients. Our professional officers and agents are uniquely qualified to provide a variety of services when it comes to the protection of your property and most importantly the preservation of life. Our goal is to ensure enforcement and compliance is uniquely achieved by command presence by our officers and agents on a 24 hour a day basis to mitigate any crisis that should arise. Marked Patrol Units uniquely and readily identify our staff. Marked Uniformed Patrol of your residence or business by our armed officers and agents. Marked Patrol response to your burglar alarm or panic alarm. Our goal oriented team with a driven service plan allows us to work in conjunction with your current alarm provider to offer first line response from our patrol division. Uniformed Bike Patrol unit for the neighborhood association or your business. Security survey / assessment for 20% discount on homeowners insurance rates. Please contact one of our representatives at your earliest convenience for assistance.